Not top end I know, but i was pleased to get this for a song It replaces my "racer", read road bike, that was stolen from my garden many years ago. I will not be doing a "Concours" job on it, just fixing the problems, and a little upgrading when things come along. 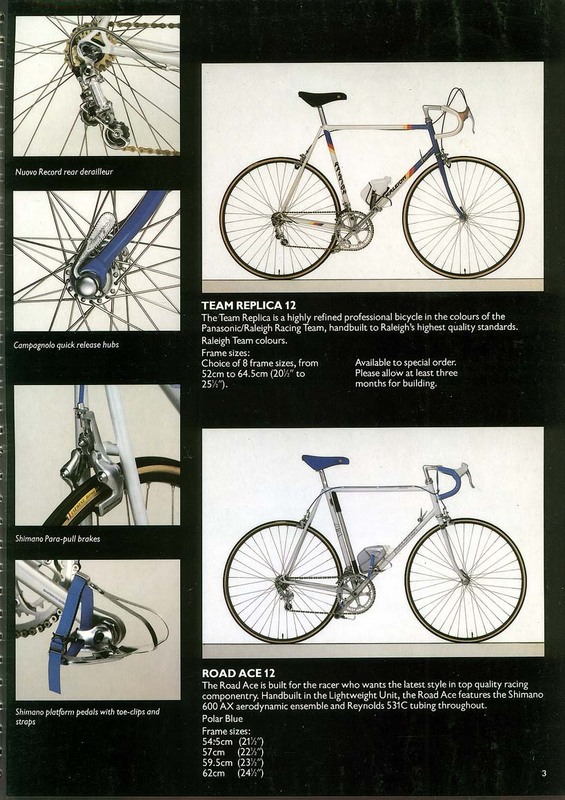 Maybe Exage brakes and front mech to match the rear mech, aero levers, and quill pedals. 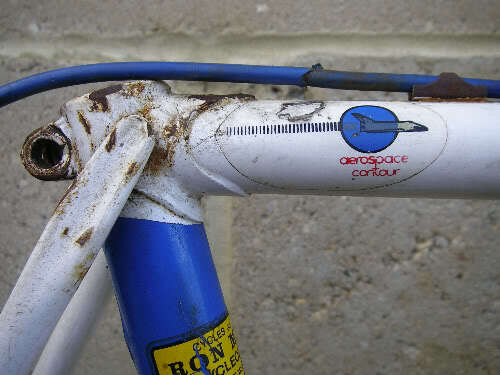 This is circa '86 as it is a 12 speed. It is too cold to go and find the Serial No. at present. 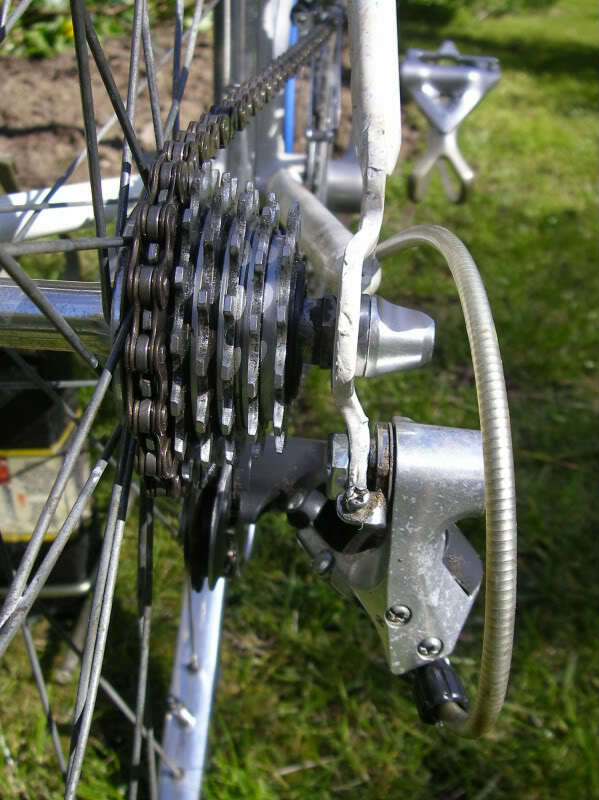 Rear mech Exage 300. 700-23c wheels. 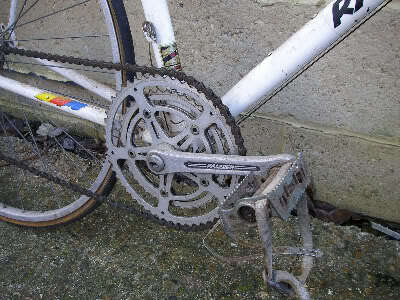 Raleigh Chainset...any life left in the small chainwheel, or chain? 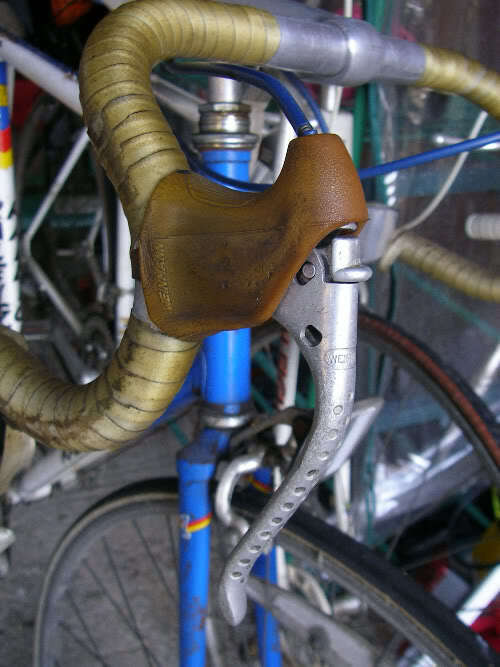 Weinman brakes, plastic levers, and Oval tubing on down tube and seat tube. 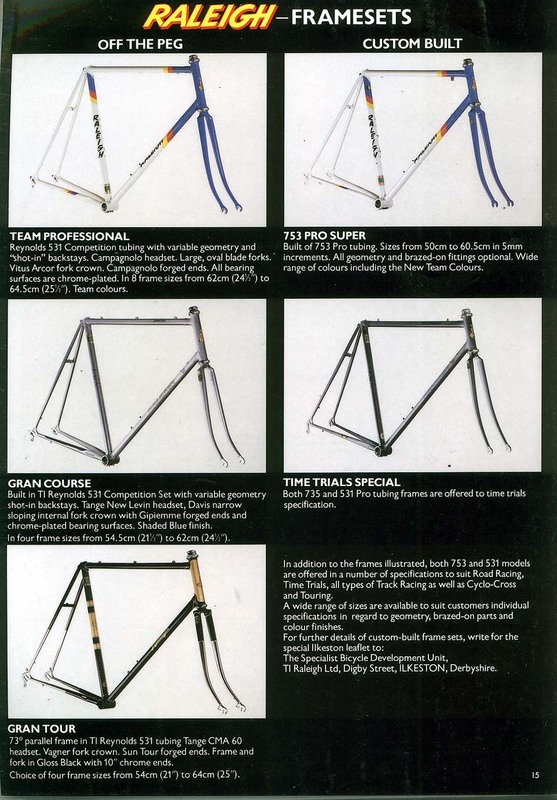 Frame: Raleigh 18-23 Hi Tensile "Aero Profile"
Chain: LBS with power link. Edit... found some here, though not Hi-Ten...doesn't John have a high end one? One of these sold on ebay, late 2010 for £67. 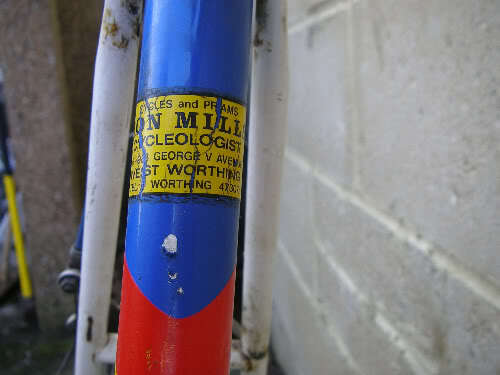 The owner claims it cost £175 in 1986, which would make it roughly £350 in todays money! Last edited by Piperdave on Sun Jul 23, 2017 11:54 am, edited 32 times in total. 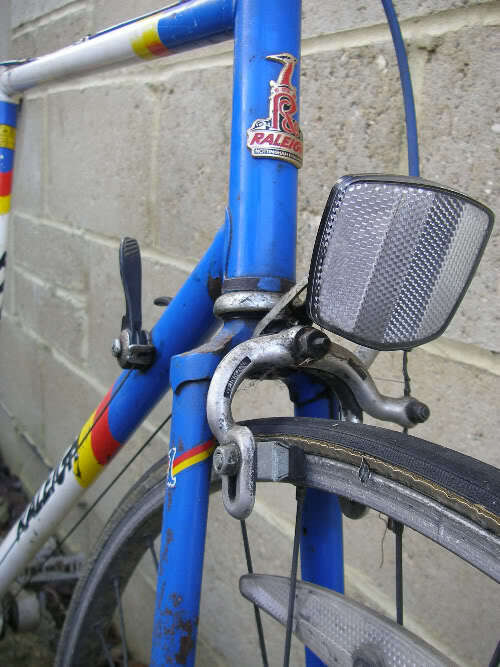 I'm no expert but I have a chage spoon (black) on my 80's record sprint, i think they look very good on retro road bikes, they are also light and very nice to sit on. ripping the bike apart today, first day its not been brass monkeys! Paintwork is in a real mess, just going to try touching it up with enamel for the time being . 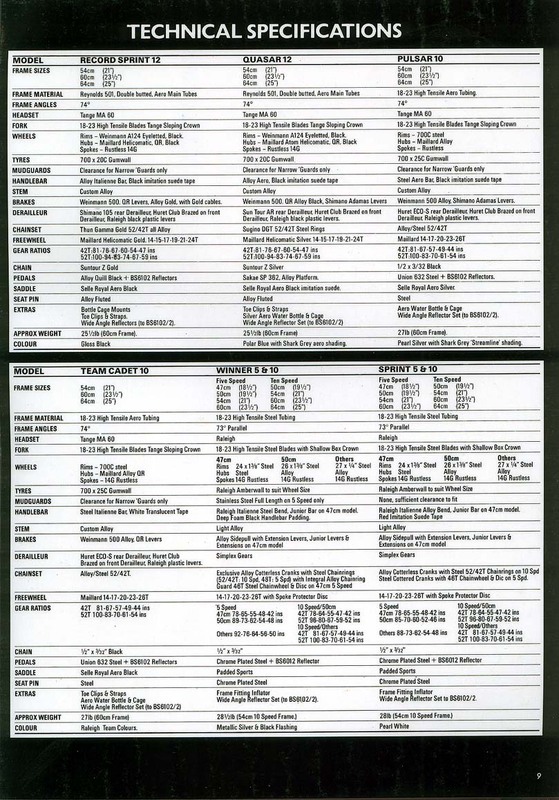 B/B came out without too much trouble , but is U/S, but i knew that. Inner chainwheel is also U/S... the chainset is SR ( Suntour?) with 165mm arms. They're going to have to go! Forks came out OK too. Cups look OKish, so just new balls there. NH612670X ( X= last number). 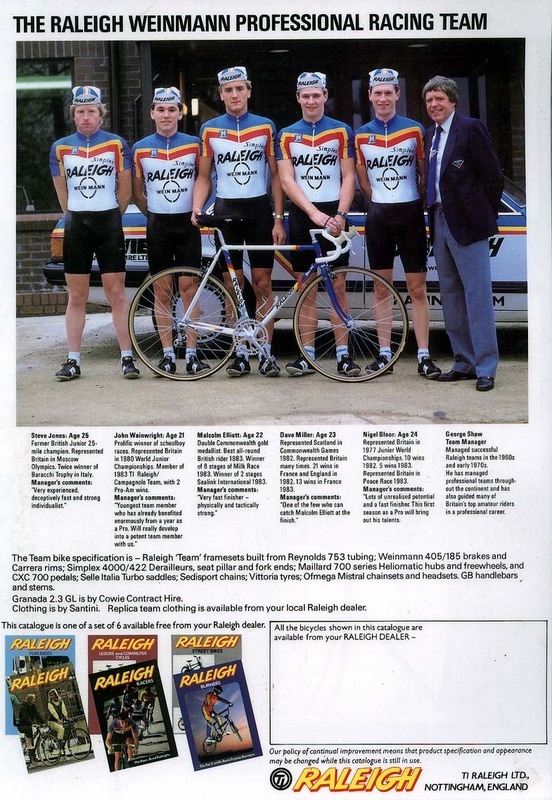 So i think it is Nottingham, July, 1986. Pls correct me if i am wrong. Good to be doing something to it at last, been frustrating in this cold weather, not working and planning. More as i get the chance, but with xmas coming, probably only going to be cleaning and touching up this month. Finally got 95% of the stuff needed to get this on the road. Thanks to all who have been generous with their time and parts. In between, i have been touching up the paint as best i can, but now think that, if i am really happy with the way it rides, i will do a full paint job on it next winter. I have found it near impossible to match "white" with "faded white"
The tyres came today and the blue matches the frame very well. The Brand X allen key skewers look good, and the B/B also arrived today. Now have to get down to some wheel cleaning in my spare time! Pics later in the month..
Had some free time at the weekend, so converted the box of bits into a bike. Not without some heart stopping moments though. 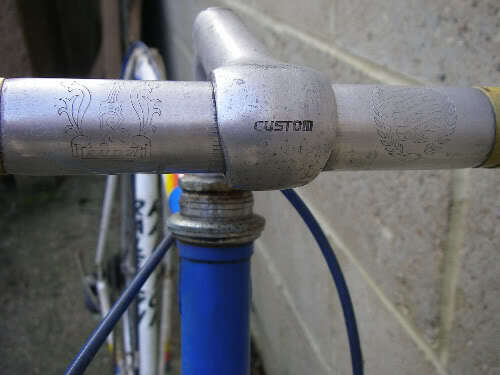 The bolt in the stem, that clamps the bars, sheared. I was able to drill it out though, and find a suitable replacement. Then, the thread in the dropout, for the rear mech stripped. There was 2 or 3 threads protruding at the rear of the dropout, so i was able to find a nut, cut it down, and use that as a backup. 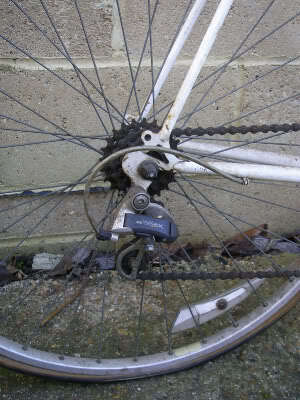 Wheels, brakes, tyres, chain set,front mech, platform pedals, gear cables all on. Looks like a bike now. Bought a chain today, and brake cables. Just need to order the saddle. Really looking forward to getting my leg over this in the next week or so. 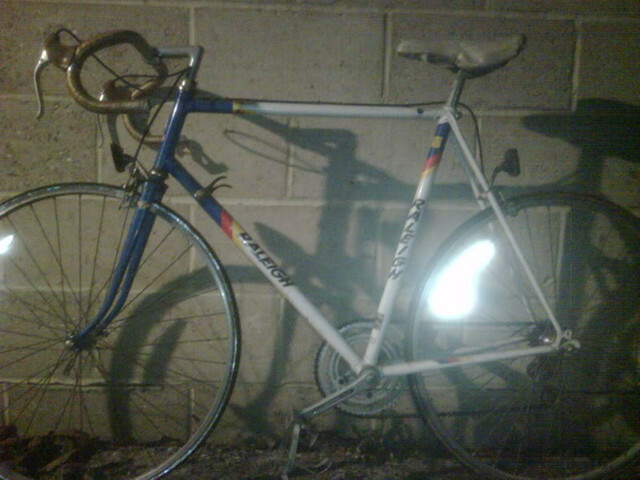 Also, after a shakedown ride, it would be good to get some retro road bikes out for as bit of a spin one day. I do have an idea for a nice route, just 20 to 30 miles to start with. As i mentioned at the beginning of this project, the idea was to get this bike back on the road, and looking halfway decent. it was not going to be a concours restoration. 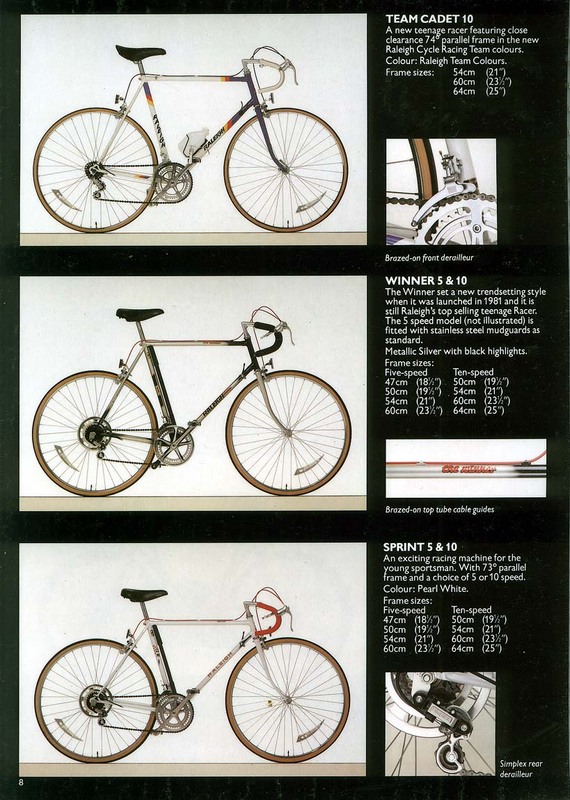 I felt that the bike i wanted to end up with should look "fast" when standing still, and i hope i have achieved this. The paint still leaves a lot to be desired, and if it really rides well, i think a paint job might be on the cards for next winter. Showing the additional nut to keep the rear mech on! Last edited by Piperdave on Sun Jul 23, 2017 12:00 pm, edited 1 time in total. That looks minty fresh - you must be well chuffed. That looks excellent! 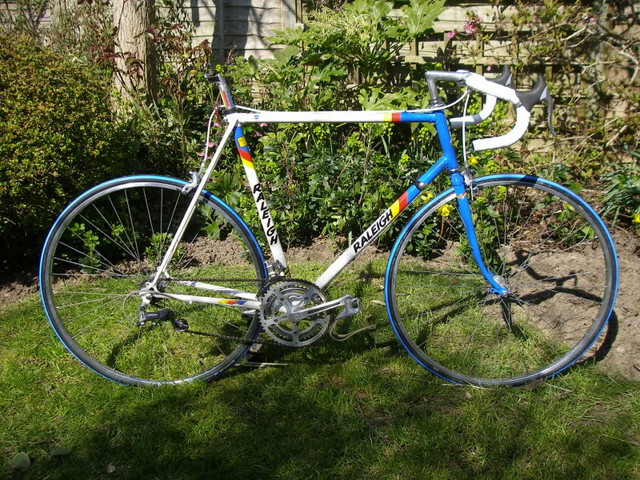 the white bars and blue tyres really compliment the frame colour, nice choice, bet you can't wait to ride it.